The Sweet Science - Andre Ward To Roc Nation Sports? Andre Ward To Roc Nation Sports? Word on the street is Roc Nation Sports, the new Jay Z boxing promotional entity, wants Andre Ward to be a boxing building block for them, and are trying to get a bit creative about ways to get that done. 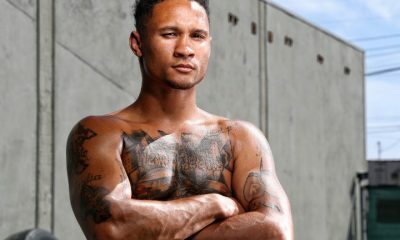 If you have followed the recent arc in the career of Ward, you know the Bay Area boxer is supremely talented, but that his exploits of late have been thin, simply because he hasn’t gloved up. First, there was an injury (November 2012) which kept him from taking part in a planned tussle against faded Kelly Pavlik. That was to unfold in January 2013. But soon thereafter, Ward (27-0 with 14 KOs) started shifting his fighting away from the gym, to the business arena. He tried to split from promoter Dan Goossen, and employed lawyers and an arbitration session with the California State Athletic Commission in June 2013. He was rebuffed, as the Commission ruled in favor of Goosen, after the 30-year-old Ward complained that members of his team were kept out of the loop while Goossen discussed a Ward fight with HBO. Ward complained that Goossen kept other members of his team, such as co-promoter Antonio Leonard, and advisor James Prince, a music CEO, out of the loop, while Goossen worked on hammering out deals with HBO, who has been the platform for his bouts of late. In April 2013, the Cali Commssion again saw things Goossen’s way, after Ward contended that Cali labor laws should invalidate a contractual deal with Goossen, because it exceeded seven years. No, Team Goossen argued, Mr. Ward of his own free will re-signed an extension, in 2011, and the Commission agreed. Ward’s attorney Josh Dubin took offense, and hit at the Commission’s trending towards not seeing things his client’s way. The Cali oversight body ruled that because of Ward’s “incapacity and/or uncooperativeness,” 14 months was being added to his contract with Goossen, and thus, the deal was good till Nov. 8, 2016. Goossen countered that it was Ward who was the one keeping HIM out of the loop with HBO, and thus, that gummed up the works in putting a bout together for Ward. Goossen asserted he had a deal ready for Ward to face off against Mikkel Kessler, in February 2014, but that Ward didn’t want to play ball. Ward, showing some of the pluck which serves him well in the ring, didn’t go quietly. In May, he said he “didn’t really have anything personal against Goossen. This isn’t a personal fight or personal vendetta.” But in early August 2014, Ward upped his charges, to a new level. 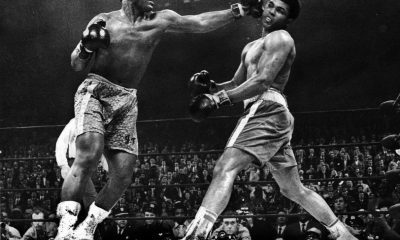 His legal team filed suit alleging violations by Goossen of the Muhammad Ali Act. “Even though Goossen has promoted Mr. Ward for nearly his entire ten year professional career, and despite repeated requests by Mr. Ward, Goossen failed in all instances to make any timely disclosures to Mr. Ward under the Ali Act for any of his fights from 2004 through 2012,” read a portion of the Team Ward complaint. Goossen had about enough, and filed a countersuit, to the tune of a $10 million defamation charge versus Ward. Yes, it became, to my eyes, somewhat personal. Goossen took umbrage at that accusation, but chose not to speak publicly, telling me he wanted the issue to be cleared up not in the public eye, but through our system of law. But it was clear he was somewhat stung that Ward would lodge what seemed like a smear to a proud man. He took the high road, though, refusing to engage in an in-the-press mud-throw-fest. On Aug. 20, a Cali Superior Court judge ruled against Ward, yet again. The status of the defamation countersuit by Goossen is unclear to me, at this time. With the passing of Goossen on Sept. 29, the rumor mill started humming. Ward, or Ward and Roc Nation, will buy out the Goossen contract. Leonard will be part of a package, will hop aboard Team Roc Nation, to work in some capacity, and Ward will be freed from the Goossen deal, and be featured as Roc’s top dog boxing client. I also heard that people working at Goossen boxing, which includes son Craig Goossen and matchmaker Tom Brown, might be open to listening to buyout offers, but the figure Team Ward might like to offer isn’t in the right ballpark. I reached out to Ward first, to see what is truth and what is just grist for the mill. His publicist wished me well, and said Ward had “no comment” when I asked about a buyout of the Goossen contract and a leap to Roc. I also reached out to Leonard, to see if he could shed light on the issue. He took my call, said he would call back in 20 minutes, and I am hoping a call back is in fact on his To Do list. Antonio Leonard Promotions is the premiere boxing promotions, management, and special events company. Our primary goal is to bring the most exciting and entertaining boxing events across the globe. Antonio Leonard Promotions was founded in 1995 by long time boxing manager and promoter Antonio Leonard. Antonio Leonard has managed and worked with many of our generations greatest world champion boxers such as Winky Wright, Floyd Mayweather Jr., Diego Corrales, Jeff Lacy, Roy Jones Jr, Andre Ward, and Chad Dawson. Mr. Leonard has been apart of many of the greatest boxing events of our time and looks forward to bringing that same excitement across the globe. I left a message requesting Craig Goossen, Dan’s son, who is taking over a portion of the reins of the boxing endeavor, to help clarify the issues, and I await his reply. My take: as with most such rumbles, I would be most pleased if the lawyers had less to do with the matter. Maybe this all plays out and Ward gets to say “I told ya so” in five years, but to me, I see a talented guy reaching his possible prime who fought once in 2012, once in 2013, and hasn’t fought in 2014. The man is a fighter…who isn’t fighting where he does it best, in the ring. Here’s hoping peace pipes get brought out, an agreeable settlement occurs, and all involved can get busier making lawyers less happy, and fight fans more so. 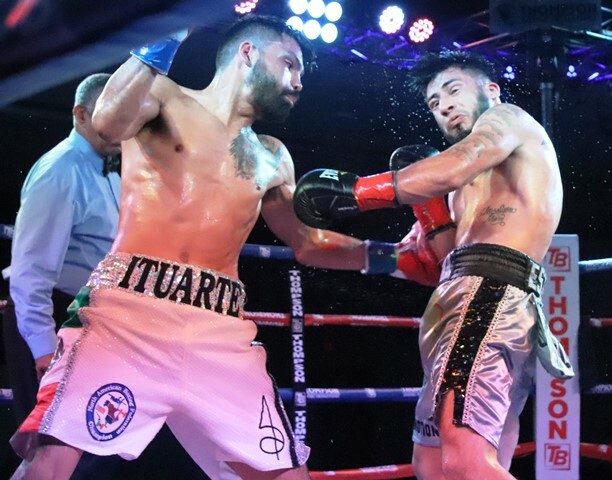 Erick Ituarte Wins Featherweight Battle in Ontario, Calif.
ONTARIO, CALIF.-Looking to make waves as a featherweight, Santa Ana’s Erick Ituarte battled Tijuana’s Jose Estrella evenly before pulling away in the last third of the fight to win by decision on Friday. “Big Announcement Coming – Stay Tuned” wrote Bilal Akkawy late yesterday (April 18) on his twitter page. And then the Nevada Athletic Commission went and stole his thunder. Later that day, the commission released its agenda for its forthcoming meeting on April 24. Among the items on the docket will be the selection of officials for Akkawy’s fight with England’s John Ryder. 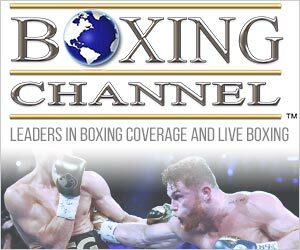 The 12-round contest for a “Vacant WBA Interim Super Middleweight Title” is penciled in as the chief undercard bout on the big May 4 show at the T-Mobile Arena topped by the match between Canelo Alvarez and Daniel Jacobs. 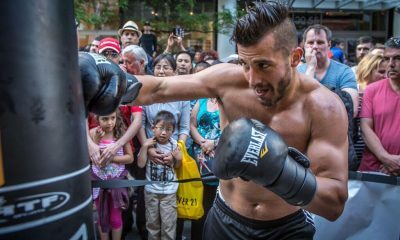 John Ryder’s original opponent, David Lemieux, was forced to pull out when he suffered a hand injury in training. 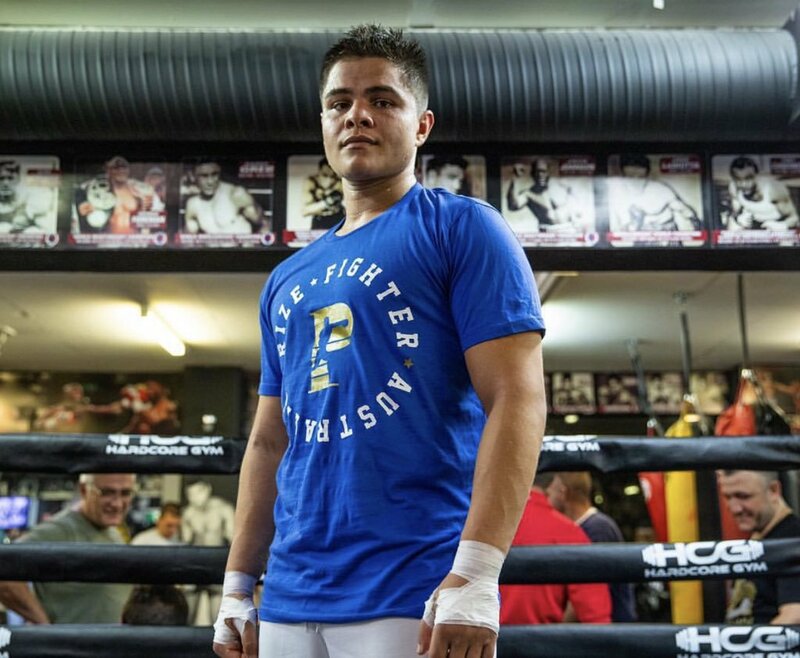 Born and raised in Sydney, Australia, the undefeated Akkawy (20-0-1, 16 KOs) has been Canelo Alvarez’s chief sparring partner. 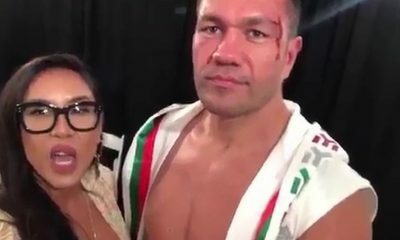 Canelo’s trainer, Eddy Reynoso, hired Akkawy based on a video that Akkary sent him as he was preparing to set up Canelo’s camp for the 2018 Cinco de Mayo rematch with Gennady Golovkin. Two days before Canelo-Golovkin II, which was pushed back until September, Akkawy made his U.S. debut at the Hard Rock Hotel in Las Vegas, scoring an 8-round decision over Christian Olivas. He appeared on the Canelo-Fielding card this past December in New York, scoring a 7th round stoppage over Victor Fonseca, and has had one fight since then, a stay-busy fight buried on a small show in Tamazula, Mexico, in which he didn’t stay very busy, dismissing his hopelessly overmatched opponent in the opening round. Akkawy comes from a fighting family. His father Mahmoud “Mick” Akkawy and two of Mick’s brothers were good amateurs. Mick Akkawy was 2-0 as a pro when his career was cut short by a serious car accident. Mick and his brother Ahmad “Al” Akkawy now run a boxing club. The elder Akkawy, whose roots are in Tripoli, was tutored by Johnny Lewis. To this day, Lewis, now 75 years old, insists that Mick Akkawy was the hardest puncher that he ever coached. Bilal Akkawy, says Lewis, inherited his old man’s genes. Lewis rates Bilal the hardest puncher, pound-for-pound, in Australia today. That’s high praise. Inducted into the International Boxing Hall of Fame in 2017, Johnny Lewis has worked with six world title-holders, most notably Jeff Fenech and Kostya Tsyzu. 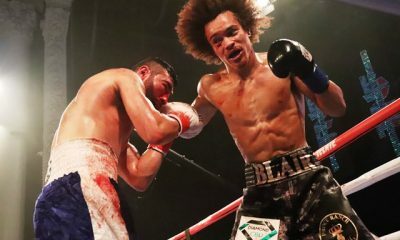 Bilal Akkawy’s power was on display on Oct. 30, 2016 when he stopped fellow Aussie Kerry Hope in the seventh round. Akkawy shattered Hope’s jaw – two operations were necessary – and dislodged four of his teeth. His best win since then was a wide 10-round decision over Italian veteran Giovanni De Carolis who had briefly held the WBA world super middleweight title. Not all of Akkawy’s performances were glowing, however. The draw on his ledger is an ugly smudge, notwithstanding the fact that it came in a 4-round bout. His opponent was Joe Rea, a British slug who is currently 11-37-5 after losing 24 of his last 25 fights. Moreover, although he won every round in his U.S. debut vs. Christian Olivas, we were unimpressed. Akkawy had Olivas down in the second frame but was unable to apply the finisher. 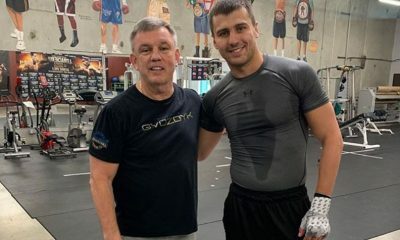 Although Akkawy is a second-generation prizefighter, his father discouraged him from pursuing a career in the ring and he entered the pro ranks without the benefit of a single amateur bout. By contrast, John Ryder had 35 amateur fights before turning pro in September of 2010. Ryder (27-5-1, 15 KOs) is no slouch. A southpaw, the Londoner has won three straight inside the distance since losing a split decision to Rocky Fielding. 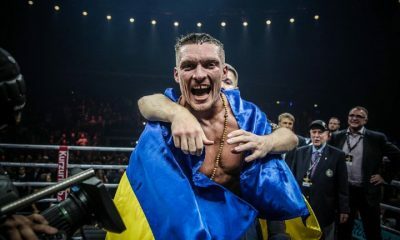 At age 30, he’s five years older than Akkawy and has far more experience, answering the bell as a pro for 187 rounds compared to only 84 for the Aussie. Akkawy vs. Ryder won’t get the juices flowing in the United States where both are obscure. However, it’s an intriguing match. It will be interesting to see how the bookmakers price it. In a twisted development a couple of East Coast guys are headed to Los Angeles to battle while another pair of West Coast guys are headed to New York City. 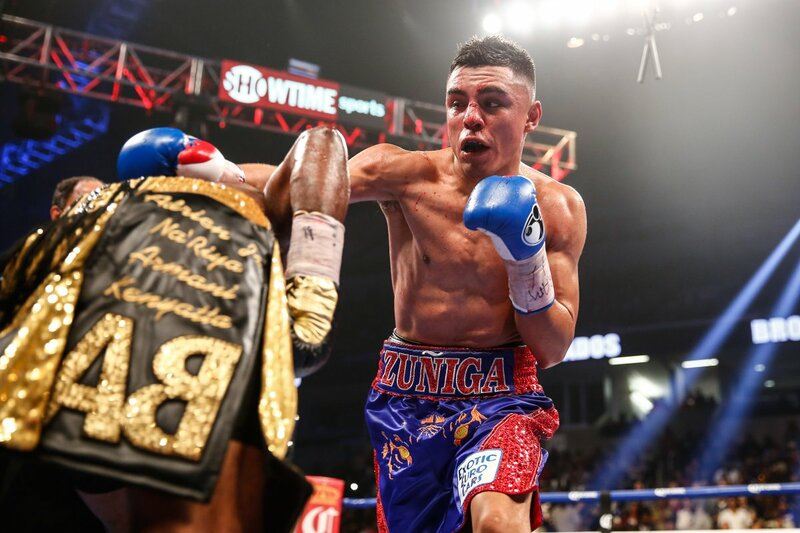 Former two-division world champion Danny “Swift” Garcia of Philadelphia faces Adrian Granados of Chicago at the Dignity Health Sports Park in Carson, California on Saturday April 20. The PBC card will be televised by FOX. Dignity Health is the new name attached to the complex formerly known as the StubHub Center and before that it was the Home Depot Center. Ironically, Dignity Health owns most of the cemeteries in Southern California. Garcia (34-2, 20 KOs) is a counter-punching Puerto Rican who needs someone to fight that’s always on attack mode in order for him to shine. When he’s matched with another counter-puncher the crowd goes to sleep. That’s where Chicago Mexican Granados (20-6-2, 14 KOs) fits in. Granados (pictured) has never fought in a snoozer in his life. He probably kicked his way out when he was born. In fights against slow developers like Adrien Broner and Felix Diaz he made them fight for their lives. If this were ancient Roman times he would be fighting in the main event armed with a tooth pick against a lion. Blindfolded. But he’s weary of being labeled as merely an entertaining fighter. World titles are something Garcia knows about. He’s held the WBC and WBA super lightweight titles and the WBC welterweight title. In unification clash with Shawn Porter last September he lost by a razor close decision. He feels naked without a strap around his waist. Granados eyes Garcia with slight envy whenever they’re in the same room. Another interesting bout on the PBC card includes undefeated Brandon Figueroa (18-0, 13 KOs) a southpaw super bantamweight fighting Venezuela’s Yonfrez Parejo (22-3-1) for the interim WBA title. The actual titleholder is Los Angeles fighter Danny Roman who fights next week at the Inglewood Forum. Other fighters of interest are Andy Ruiz, Alfredo Angulo, Omar Juarez and Carlos Balderas. It’s an extremely long card and begins at 3 p.m. Headlining a boxing card at the Doubletree Hotel in Ontario, California is featherweight Erick Ituarte (20-1-1) versus Jose Estrella (20-15-1) in a 10-round main event. Ituarte is the stablemate of WBA champion Danny Roman. Estrella hails from Tijuana and has fought some tough customers like Miguel Marriaga and Christopher Diaz. The Thompson Boxing Promotions event also features a solid looking welterweight Richard Brewart (4-0) against Vincent Morales (2-2-2) in a four round bout. Another interesting fight showcases Uzbekistan’s Murodjon Akhmadaliev (5-0) a southpaw slugger trained by Joel and Antonio Diaz in Indio. The lefty faces former world title contender Carlos Carlson (23-5) in a super bantamweight clash. Thompson Boxing always delivers solid boxing cards and you never know which new boxing jewel will be discovered by them. They have a 20 year history of finding outstanding talent. You can also watch it streamed on Thompson Boxing’s page on Facebook.com. Doors open at 6:30 p.m. For more information call (714) 935-0900. If you plan on staying home on Saturday night a solid fight card at Madison Square Garden features a welterweight world title fight between WBO titlist Terence Crawford and former two-division champion Amir Khan. It will be shown on ESPN pay-per-view at $59.95. It’s a loaded card with Top Rank unfurling its best. Of course the best is Crawford who in my opinion is the top fighter pound for pound. And I was a late convert. Nebraska’s Crawford (34-0, 25 KOs) is based in the Midwest and heads east to fight England’s Khan (33-4, 20 KOs) who trains in California. They’re fighting for the WBO title and it should be a very good fight. Khan has always been a favorite of mine. He’s blessed with speed and agility and also has a lot of guts. Not just because he fought Saul “Canelo” Alvarez at middleweight, but because he’s a true prizefighter looking for the biggest fights in the world. He’s been criticized by his own countrymen for not fighting some of his fellow Brits, but Khan looks at everything globally, not nationally. He especially wants fights that Americans want to see. They want to see this fight. “I wanted this fight because I wanted to fight the best. Terence Crawford presented the greatest challenge to me at this point in my career. Listen, the Kell Brook fight was there, but fighting Terence gives me the opportunity to show I am a pound-for-pound fighter,” said Khan. Of course thousands of Brits will be flying across the Atlantic Ocean for a glimpse of this showdown. First because it’s New York, second because it’s boxing and Brits love boxing. Gotta love them Brits. Crawford, like Khan, is blessed with speed and agility too. And he also has several ways to attack. He’s not a one-dimensional fighter. He’s like a jazz musician; he can take it wherever it needs to go. Whether its hip hop or improvisational he can easily slip into another tempo. That’s his magic. Keep your eyes open in this fight. Top Rank has a couple of their prospects jumping up to face contenders. First you have Shakur Stevenson (10-0) meeting former world title challenger Christopher Diaz (24-1) of Puerto Rico in a 10-round featherweight clash. If it were any other prospect I might say the kid is moving too fast. But Shakur has eye-popping talent. Another prospect going against a contender is Brooklyn’s Teofimo Lopez (12-0) meeting Finland’s Edis Tatli (31-2, 10 KOs) in a lightweight match. Lopez, 21, already has fought in three 10-round fights and has the NABF and USBA lightweight belts. Tatli has the EBU lightweight belt. Whose belt means more in this fight? Puerto Rico’s highly touted Felix Verdejo (24-1,16 KOs) lost a year ago to Mexico’s Ines Lozada Torres by knockout. Then he returned to win by knockout last November. Now he’s back against a tough customer in Bryan Vasquez. It’s not an easy fight for either fighter. Verdejo was Top Rank’s golden child a couple of years ago and ran into some personal problems before running into Lozada’s fists. Now he has Vasquez, a slick fighting Costa Rican who arguably could have won a world title had he been given the decision after fighting Raymundo Beltran two years ago. Beltran won by majority decision that night in August 2017, then proceeded to win the WBO lightweight title against Paulus Moses. That could have been Vasquez’s title. It’s a strong boxing card. Next Thursday on April 25, former middleweight, super middleweight, light heavyweight, cruiserweight and heavyweight world champion James “Lights Out” Toney will be the honored guest at the Golden Boy Promotions boxing card at Fantasy Springs Casino in Indio, Calif.
Toney spent the last 25 years in Southern California where he first trained at the Wild Card Boxing gym in Hollywood. 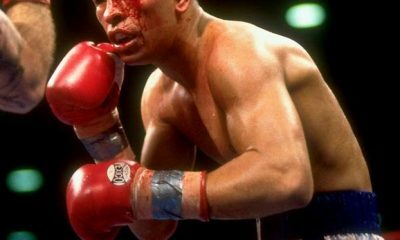 Over the years he became one of the most popular prizefighters by fans who loved his aggressive style and off-the-charts boxing skills. The Michigan native had more than 90 fights as a professional against some of the best to ever put on gloves. Many boxing writers, including myself, consider Toney one of the best, if not the best prizefighter in the last 60 years. He’s beaten some of the best in the business and performed at a high level for decades in classic fights. Among the gems were his knockout wins against Michael Nunn, Tim Littles, Vassiliy Jirov, and Evander Holyfield. Toney, 50, will be available to sign autographs and take photos with fans. Be sure to be there and meet the great multi-division champion. One of the featured fights is Oscar Negrete (18-1-1) in a rematch against Joshua Franco (14-1-1) who fought to a draw last October. It was one of the best fights of the year. The NABF bantamweight title is the prize. For tickets or information call (800) 827-2946.